ATLANTA, April 2, 2019 – Perfect Image, the Atlanta-based commercial print and marketing services firm specializing in the needs of educational institutions, nonprofit organizations and small to mid-sized businesses, today announced the appointment of Ron Bedingfield as the company’s production manager. A Georgia native and 30-year veteran of the commercial printing and visual merchandising industries, Bedingfield replaces Gregg LaVangie, who has served as operations manager since 2014. In his new role, Bedingfield shares oversight of Perfect Image’s ‘More than’ standard of excellence in performance and client satisfaction, with direct oversight of plant operations and staffing, training and development, quality assurance, press and information systems management, estimating, materials pricing and procurement, scheduling, production, and related financial planning and management. Prior to joining Perfect Image, Bedingfield spent nearly 20 years in management and specialist roles for other Georgia printing and manufacturing firms, ranging from dye sublimation specialist to plant manager, general manager, press room manager and lead pressman, specializing on Komori and Heidelberg commercial presses. His career began in 1990 as a press helper, and he went on to become a pressman and press manager before moving into management in 2000 as general manager. "Gregg LaVangie has brought immeasurable value to our organization and clients over the past five years,” said Ira Jackson, president of Perfect Image. “After a remarkable 25-year career of leadership in commercial printing, which followed his service to our country as a member of the military, we thank Gregg for his service as he moves into semi-retirement. We are fortunate to have Ron Bedingfield join us in assuming this critical and multifaceted role. 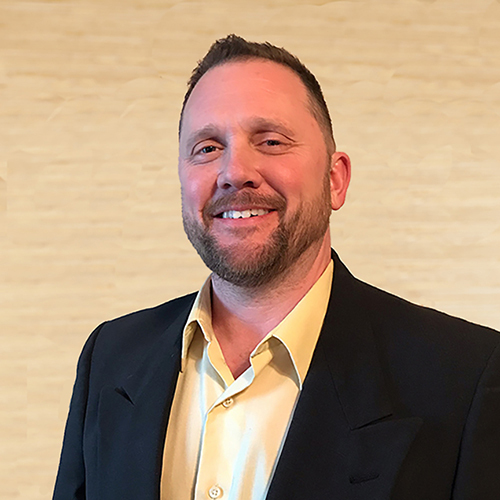 Ron is an equally consummate and tenured industry professional with the managerial experience and highly relevant skill set to lead us into the next phase of our growth and advancement." ATLANTA, July 10, 2018 – Perfect Image, the Atlanta-based commercial print and marketing services firm specializing in the needs of educational institutions, nonprofit organizations and small to mid-sized businesses, today announced significant advancements in client services and solutions. In response to evolving market needs and following more than 8 percent sales revenue growth over the past three years, the company has invested in the latest Kodak digital press, expanded its sales and service organization, launched a new interactive website, and deployed an advanced digital technology platform offering modern e-commerce capabilities. 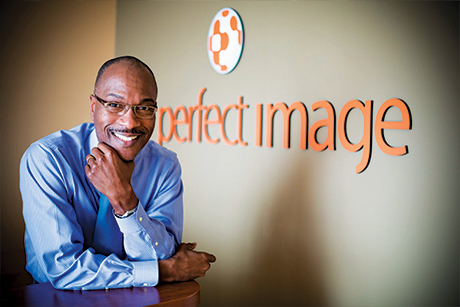 "Perfect Image is an early adopter of new technologies and solutions to give our clients the power to compete in increasingly competitive, complex environments," said Perfect Image President Ira Jackson. "That means delivering market-specific expertise, unrivaled service and support, multichannel marketing capabilities and sensitivity to our clients' budgets. We are a dedicated marketing partner, not just a service provider, and our success is wholly determined by our ability to help clients advance and grow through modern solutions and services." Kodak's latest digital press: In February 2018, Perfect Image upgraded its hybrid manufacturing environment with Kodak's newest digital press – the NEXPRESS ZX Digital Production Color Platform – providing the company and its clients industry-leading productivity and digital printing capabilities. The press expands the range of applications, finishes, surfaces and papers Perfect Image can accommodate, and delivers photographic image quality rivaling offset printing quality. Digital printing, the technology of choice for personalized, one-on-one communications, complements Perfect Image's high-speed, six-color, offset press, used for more demanding formatted designs and projects. 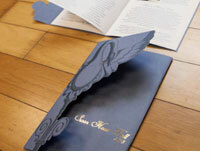 In addition to upgrading its digital press, Perfect Image also deployed an advanced, in-house digital bindery solution to produce booklets and other bound products with precision creasing, slitting and folding. New interactive website: The new website – www.perfectimageprinting.com – optimizes mobile and desktop performance across all platforms, and is designed to help clients and prospects quickly find the in-depth information, resources and inspiration they need. Content is presented in an easy format according to specific industries and markets. Solutions, ideas and expertise are provided to help organizations jump-start or enhance marketing programs, and the My Stuff portal gives existing clients immediate sales and service attention. Multifaceted digital platform: This summer, Perfect Image will begin rolling out an innovative e-commerce portal for clients through its website. Built on DocketManager technology, the portal will offer rich storefront features, customized by client, making it an enjoyable experience to manage, proof, approve, order and pay for printed materials online. A total management information system built exclusively for the printing industry, DocketManager was adopted by Perfect Image in 2017. The company has since migrated all other facets of its business, from accounting to workflow, reporting and inventory management. Growing sales and service organization: Perfect Image grew its sales and service organization with the recent onboarding of Shelby Barlowe as Client Service Representative, and Kala Daniel as Business Development Manager. A Graphic Communications graduate of Chowan University in North Carolina, Barlowe most recently served as intern to the assistant vice president and dean of Enrollment Management at Chowan. Daniel, a Journalism and Mass Communication graduate of Ashford University, San Diego, previously served as executive administrative assistant and social media manager for another Georgia firm. "Perfect Image's value proposition to be 'More than a printer' underpins our survival during seismic U.S. printing industry changes over the past decade, and positions us for ongoing success," Jackson said. 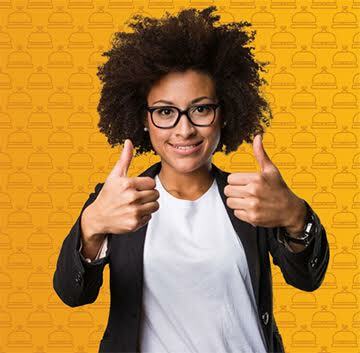 "As a trusted partner for our clients, we serve as an extension of their marketing teams with the ability to develop and execute strategy, provide concierge-style service and support, and deliver affordable excellence across the marketing spectrum – from digital marketing to direct mail, point-of-sale, web development, video marketing and more." Ira Jackson, president of Perfect Image, was appointed to the board of directors of Georgia Humanities in November 2017. Georgia Humanities is the nonprofit organization and cultural state leader that ensures humanities and culture remain integral to the lives of Georgia citizens. In November 2015, Perfect Image was formally inducted into the Atlanta Business League (ABL) Business Hall of Fame. This distinction recognizes African-American-owned businesses that have continuously operated for 25 years or more, and whose entrepreneurial endeavors have paved the way for others to follow. In 2008, Perfect Image upped its longstanding commitment to environmental sensitivity by achieving formal certification from the Forest Stewardship Council, which sets global standards for responsible forest management. FSC uses the power of the marketplace to protect forests for future generations. Perfect Image's certification allows the company to extend FSC-certified papers and greener solutions to its clients. From quality control to protecting the environment and maintaining a high-functioning hybrid print manufacturing environment, Perfect Image is one of the only printers of its size operating with such an extensive portfolio of disciplined programs in place to ensure client satisfaction. 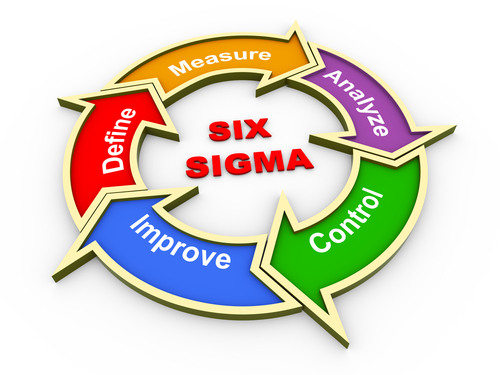 To build a first-class culture of quality control and continuous improvement, in 2008 Perfect Image began sponsoring Six Sigma Training for its employees who lead the company's service, production and manufacturing processes. A critical advancement for Perfect Image and its clients was the company's decision in 2004 to reconfigure its all-offset-lithographic operation to a more versatile, hybrid-manufacturing platform that incorporates variable digital printing. Perfect Image recognized that print buyers needed the ability to quickly and more economically produce materials with variable data – for example, personalized materials to individuals – which is still achieved today through variable digital printing. Building up to this advancement, in 2003 Perfect Image began operating a filmless environment, taking all artwork direct-to-plate. The company was ahead of its time with this advancement as well, eager to join the technology revolution with the ability to make printing plates digitally, without the use, expense and complexities of traditional graphic arts film. 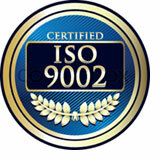 In 1993, Perfect Image adopted the International Organization for Standardization (ISO) 9002 Quality Control System. The systems model for quality assurance in production and servicing is a formalized discipline applied system-wide at Perfect Image to ensure consistent top quality in everything that is produced. This advancement was extremely rare for a mid-sized commercial printing company. By the early 1990s, Perfect Image had completely eliminated alcohol solvents from its chemistry. This initiative was driven by the company's desire to become a responsible, environmentally sensitive commercial print provider, and as part of its larger initiative to adopt evolving technologies that would bring greater quality, speed and efficiency to Perfect Image clients' growing needs. In 1991, Perfect Image became a certified Minority Business Enterprise (MBE) with the Georgia Minority Supplier Development Council, Inc. (GMSDC), and was subsequently named the Council's Supplier of the Year. 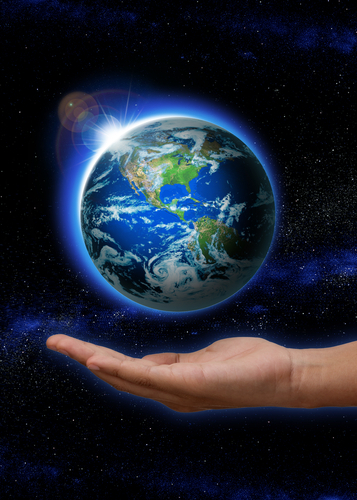 The GMSDC assists certified MBEs in contributing to global supply chains and facilitates partnerships with corporations and governments seeking MBE services. The GMSDC is the state of Georgia's leading small business development and supplier diversity organization. Certification, which is granted to emerging firms to promote and strengthen universal understanding of the value of minority supplier development, requires that a firm be headquartered in Georgia, and owned, operated and controlled by 51% ethnic minority owners, along with other stringent criteria.